Dayton Tooling Pty. Ltd. was established in 1960 to design and manufacture tooling for the automotive industry, with its major clients including General Motors Holden, Ford Motor Company, Chrysler Australia and International Harvester. In 1970 the company diversified into Hardware and the Daytek range of products was released. 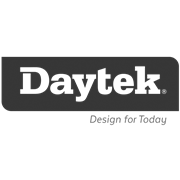 Designed and developed in Australia, Daytek products have won industry awards for their innovative design including the Prince Philip Award, the Dunhill Award and the Good Design Award. Indoor clotheslines that can be wall or ceiling mounted. Polyethylene and galvanized-steel tray wheelbarrows.